CPK: Pizza with a Purpose! 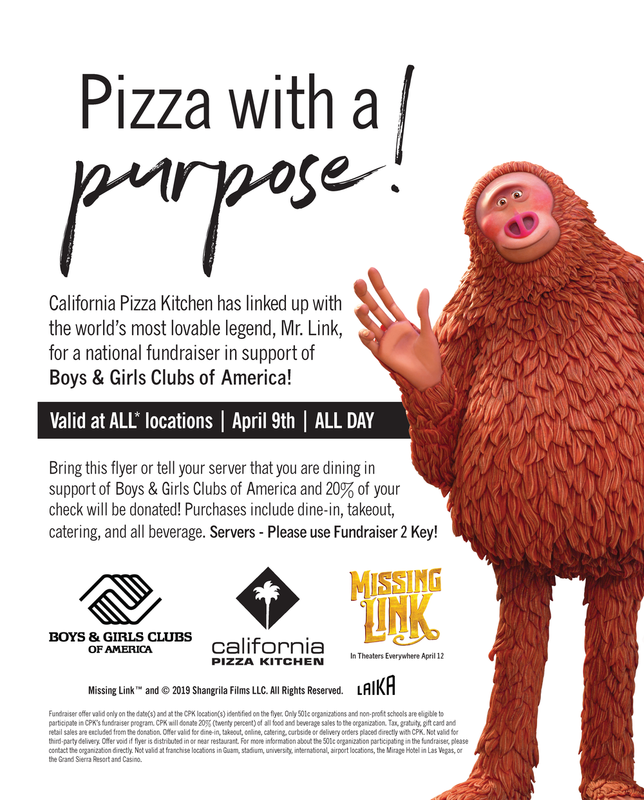 California Pizza Kitchen has linked up with the world’s most lovable legend, Mr. Link, for a national fundraiser in support of Boys & Girls Club of America! Tell your server that you are dining in support of Boys & Girls Clubs of America and 20% of your check will be donated! Purchases include dine-in, takeout, catering, and all beverages.